When you're done with the turkey and pies, shop online and save. Watch for our Cyber Monday Sale - different items on sale! Shop all weekend - we'll combine your orders prior to shipping. Sale prices good on the website and all our Etsy sites. 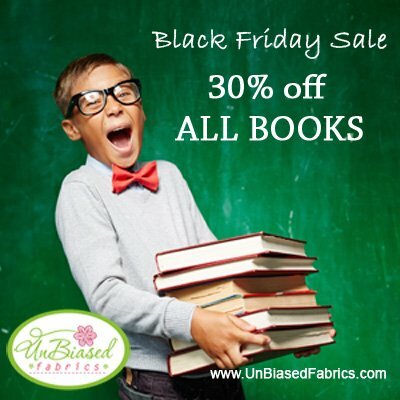 You are receiving this email because you have signed up at an event, purchased from the website, or purchased from one of our Etsy stores (UnBiasedFabrics or OakHillFabrics). Stay signed up to receive notice of sales, events and giveaways.